Developers continue to mine the city’s Transit Oriented Communities incentives and are beginning to seize on the federal Opportunity Zone program for residential projects of under 50 units. In the latest round, the largest of the bunch is a 28-unit proposed project in Mar Vista, a short distance from Venice’s booming tech scene. Also on the list are two projects filed in the San Fernando Valley. 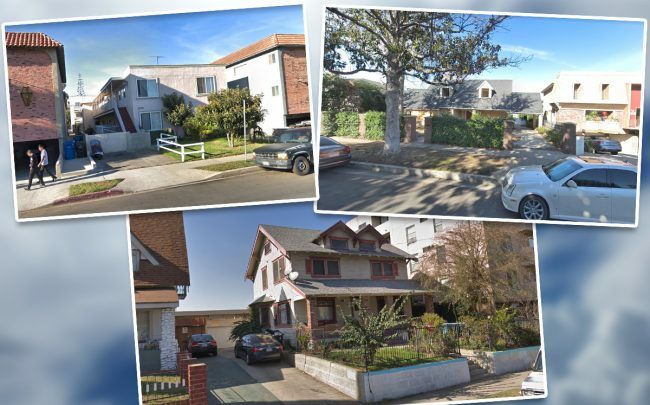 A developer operating through Mar Vista Fund LLC and based in Manhattan Beach filed plans for a 28-unit condominium project. It would replace an eight-unit apartment building on the border of Mar Vista and Venice. The LLC purchased the roughly 7,100-square-foot property in September for $2.8 million. A single-family home will meet the bulldozer for this planned 24-unit project. The filing is registered to 1226 Monument LLC, which goes to a Sherman Oaks address. The proposed project site is just off the North Hollywood Arts District on Lankershim Boulevard, a main thoroughfare in the area where WeWork recently signed a lease for a new co-working space. The developer paid $1.8 million for the Huston Street property in mid-2016. The project seeks a density bonus through the city’s Transit Oriented Communities program. Developer Parvin Shavalian wants to take advantage of the TOC program for this multifamily project. The site is eligible for significant density bonuses and other incentives through TOC because of a nearby Metro stop and bus options. The program provides higher bonuses based on proximity to transit. The site is also in a federal Opportunity Zone, allowing Shavalian to reinvest untaxed capital gains into the project. The project would replace a duplex dating from the early 20th century, according to property records recorded by PropertyShark. Outside the UCLA campus in Westwood, an entity tied to Cyrus Hekmat wants to build a five-story, 12-unit apartment complex. Hekmat is the son of Indivest Inc. founder Kambiz Hekmat, whose firm owns a handful of properties in Westwood. Indivest recently restarted a 29-story condominium tower project in the neighborhood that’s been in the works for nearly a decade.